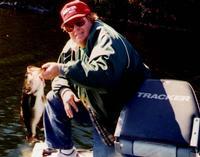 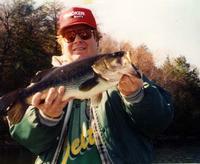 5 lbs, 7 ozs Lake Hopatcong, N.J. May, 1999 -5Dennis Smith (9 lbs, 9 oz) Cypress Lake, Fla.
12 lb. 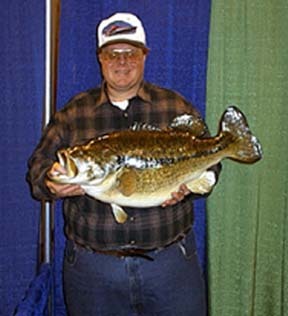 4oz. 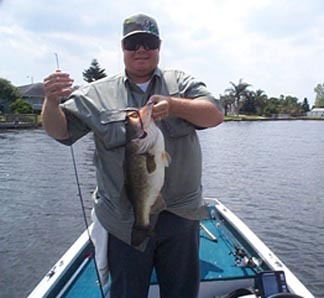 bass taken 3-15-00 in FLA. ttttttttt Replica of the 3rd largest bass 21 lbs Lk Castaic, CA. 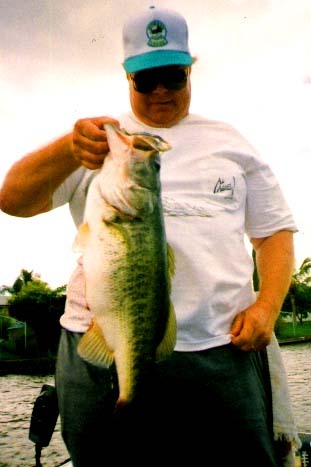 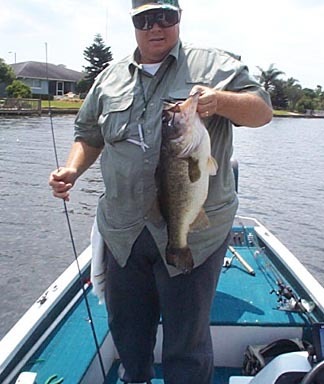 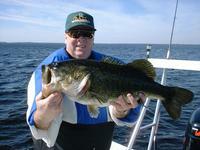 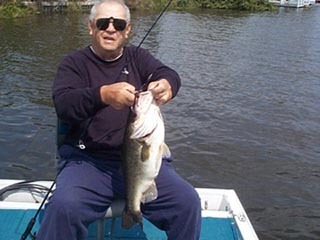 8.8 lb bass taken 3-24-01 in Fla.-Grape worm----------Dad & his first 10 pounder --10.1lbs in Fla.